The New World of Police Accountability, Second Edition, by Samuel E. Walker and Carol A. Archbold provides a thorough examination of police accountability in the 21st century. Though there is no one model, progress has been made in police accountability by following guidelines that improve Policy, Training, Supervision, and Review of police practices. This includes implementing policies on critical incidents/events, e.g., use of force; vehicle pursuits, foot pursuits, crisis intervention, and more. It also includes proper analysis of data to gauge the successes and failures of efforts at accountability, which surprisingly is lacking. It also requires the study of risk management in policing, another concept that is poorly understood and utilized by police leaders. The authors point out that the PTSR model and the examples they include are nearly always implemented in consent decrees between police departments and the Department of Justice, and usually with positive results, if after rocky starts. Further discussed is the ability of agencies to maintain the changes once implemented, as they are costly and time consuming. 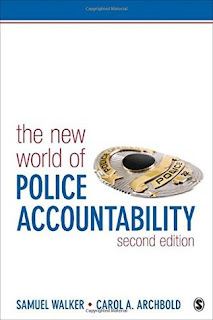 The book lacked discussion on implementing the new police accountability measures is smaller departments. While big departments are easy to discuss and cite, most of the 18,000 police departments in the US are small to mid-sized yet face similar accountability and liability issues. Some examples or suggestions at how to best apply these ideas, even if only theoretical or only supported by anecdotal evidence, would be helpful to most of the police officers reading the book. No compensation was provided for this review. This review first appeared in Library Journal and is published here with permission. 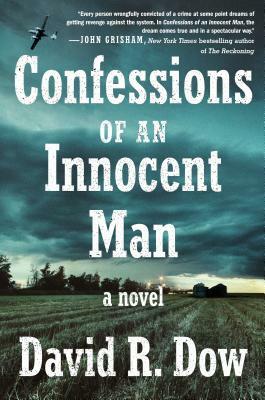 In Confessions of an Innocent Man, David Dow’s debut novel (following memoir Things I’ve Learned from Dying), restaurateur Rafael Zhettah falls in love with an older, wealthy philanthropist. A year after their marriage, she is violently murdered. Despite an alibi and circumstantial evidence, Rafael is convicted, sentenced to death, and spends over six years on death row before evidence withheld by a detective is discovered and exonerates him. Unlike many who have been wrongfully convicted, Rafael’s gratitude is mitigated by a need for retribution, and he quickly begins to seek it. The novel explores wrongful convictions, the death penalty and appeals process, life on death row, and exoneration. It is about duplicity--the honest and hardworking man becoming a criminal only after a wrongful conviction; a legal system that seems too often to pit police, prosecutors, and judges against the truth. And includes an ingenious, well planned, and perfectly executed revenge. VERDICT: A fast-paced legal thriller that powerfully captures love, surrender, despair, and retribution that will appeal to fans of Phillip Margolin and George Pelecanos, and pair nicely with memoir The Sun Does Shine by Anthony Ray Hinton. A copy of Confessions of an Innocent Man was provided by the publisher via Library Journal. No compensation was provided for this review.